Every year FLATE recognizes outstanding educators, students and key personnel for outstanding contributions to promote technology education and career awareness in support of manufacturing. This award includes nominees working in any manufacturing area such as economic development, industry, education and administration. Nominations are recommended following the published criteria and selected by FLATE’s Industrial Advisory Committee. The awardees are then recognized at the annual Manufacturers Association of Florida (MAF) Manufacturers Summit President’s Banquet. Manufacturers and educators committed to promote, educate, and train Florida’s high-tech workforce will receive special recognition at the 9th Annual Manufacturers Association of Florida, Manufacturers (MAF)Summit. The awards will be presented on Dec. 6, during the president’s banquet at the Hyatt Regency hotel in Orlando, Fla., by FLATE (Florida Advanced Technological Education Center), the National Science Foundation (NSF) regional center of excellence for manufacturing located at Hillsborough Community College (HCC) in Brandon. According to Marilyn Barger, Ph.D., principal investigator and executive director of FLATE the awards “are a testament to Florida’s high-tech workforce.” They also “serve as an effective vehicle in recognizing outstanding educators and industry professionals who have made significant strides in training the next generation of high-skilled workers in Florida” Barger said. This year’s awardees join a distinguished group of educators and industry professionals who have made significant contributions in enhancing technician training and education in Florida. Starting on the secondary education level, Dale Toney, recipient of the 2013 FLATE Secondary Educator of the Year Award, exemplifies qualities sought in an educator. 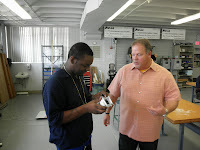 Toney who is the robotics and automation teacher at Marion Technical Institute (MTI) in Ocala has been teaching engineering technology for several years. established strong partnerships not only with local industry, but with teachers and community college educators across Florida. His program at MTI is aligned with the industry driven, MSSC CPT certification which has added to the skills set of his students, making them better qualified for higher paying jobs. Toney is big on hands-on projects, and regularly takes students on local industry tours, or invites industry professionals to provide first-hand, real-world perspective to students. Most recently, he won a scholarship to attend the HI-TEC conference in Austin where he participated in conference sessions about new technologies, student recruitment/retention, and strengthening industry/workforce partnerships. On the post-secondary education level, Dr. Alessandro Anzalone, professor and director of the A.S. degree in engineering technology (A.S.E.T), has been a leading factor in driving enrollment of students into the A.S.E.T program at Hillsborough Community College in Brandon. “Dr. Anzalone’s excellent teaching, mentoring and outreach efforts have done much to dramatically expand the ET degree and certificate program at HCC” said Sabrina Peacock, dean of Arts & Sciences at HCC. Under him, enrollment into the A.S.E.T program has sharply risen from two students to 180, and is steadily increasing every academic year. graduates to either get a better job, or climb up the corporate latter. “The degree is also adaptable and flexible, and offers transferability of skills and knowledge across various engineering sectors.” He credits FLATE for being a driving force in ensuring the success of the program at HCC and those offered at 13 state and community colleges across the state. “The most important contribution of FLATE is transforming manufacturing technology into engineering technology” said Anzalone. “This has not only dispelled negative connotations attached to old world manufacturing, but aligned it with engineering so students/parents view it in a slightly different perspective” Anzalone said. Technologies, a leading high-tech manufacturer in Tampa, has been a prominent figure in representing the voice of local industry, and establishing a platform for industry to engage with students as well as educators. 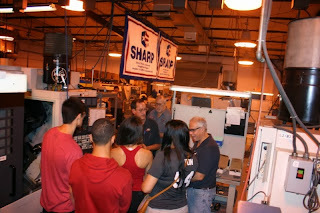 Sweatman has hosted many “Made in Florida” industry tours for middle and high school students in Pinellas, Pasco and Hillsborough counties. 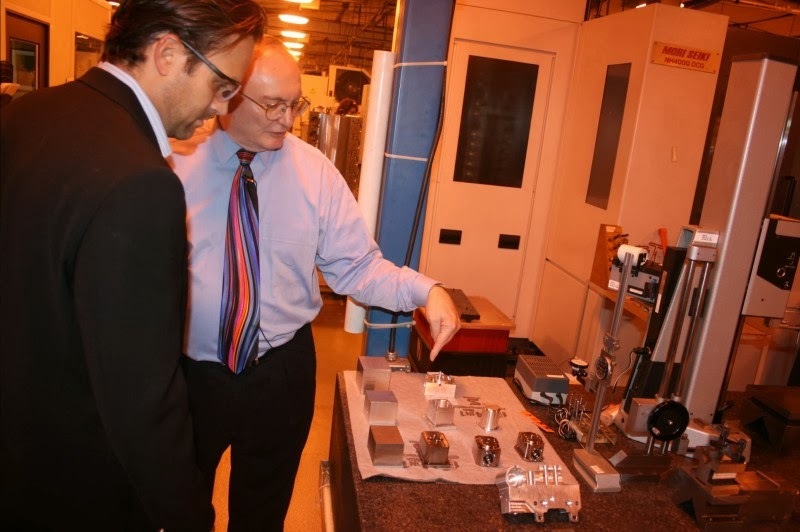 Through these tours, Sweatman has met, hired as well as mentored many students for part time work giving them a real-world view about manufacturing careers. 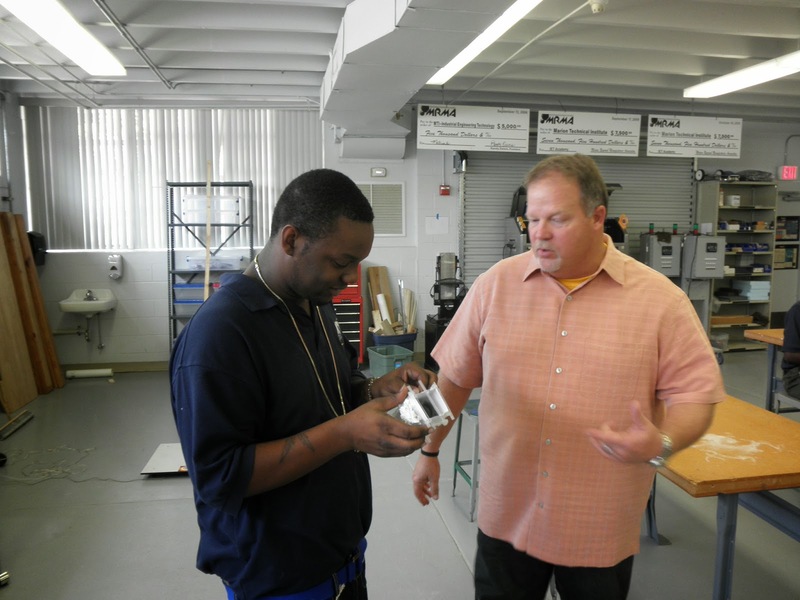 Sweatman is on the advisory committee of the Pinellas Technical Education Center’s machining program, the Florida West Coast Apprentice Board, and several other local workforce and education advisory committees. “Sweatman has promoted a very open and receptive culture, making SMT a warm and welcoming place for students to get a first-hand view of advanced manufacturing operations and careers supports industry at all levels” said Dr. Marilyn Barger, executive director of FLATE. Manufacturing Council for the past two years as well as that organizations’ subcommittee for workforce development. In that capacity, he and 24 other industry leaders advise the Secretary of Commerce on all aspects of competitiveness and respond to regular input/ request from Florida manufacturers and regional organizations to represent their interests at the national level. Roy has also served in numerous leadership roles in the National Tooling and Machine Association (NMTA) for over 20 years, focusing on both the manufacturing industry and its workforce issues. Within Florida, Roy participates in the Manufacturers Association of Florida (MAF) annual meeting, and focuses on impacting/ influencing state legislators for manufacturing friendly policies and regulations. 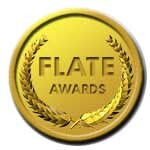 2014 marks the eighth year of the FLATE awards. Since the implementation of the awards program in 2006, FLATE has recognized 12 educators in secondary and post-secondary educational institutions, and six industry partners. For more information on the FLATE awards, contact Dr. Marilyn Barger, executive director of FLATE at barger@fl-ate.org/813.259.6578, or visit www.fl-ate.org.